We are expecting to see two new Samsung Galaxy S8 smartphones early next year and now it looks like Samsung is also working on the new Samsung Galaxy Note 8. According to Evan Blass the Samsung Galaxy S8 handsets will come with the model number SMN-G950 and SM-G955, the new Galaxy Note 8 will come with the model number SM-N950. We heard yesterday that the Galaxy S8 would come in two screen sizes, one with a 5.7 inch display the other with a 6.2 inch display to compensate for Galaxy Note 7 which was recalled. Samsung will announced these two new smartphones at Mobile World Congress 2017 in February, we are not expecting to see the Galaxy Note 8 at this event. 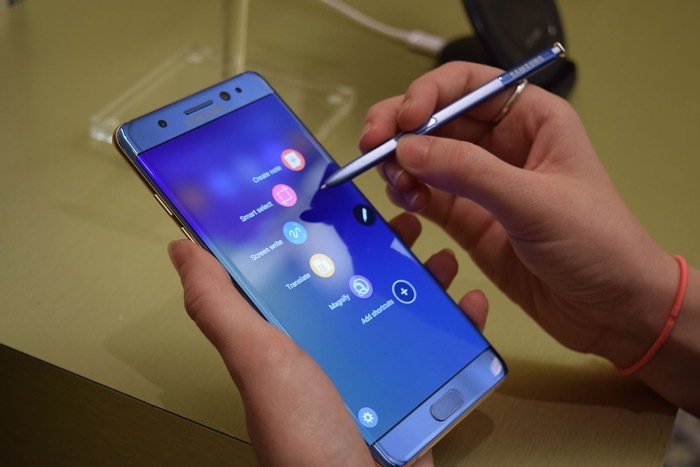 We will have to wait later in the year to see the new Galaxy Note 8, although if Samsung are working on the device at the moment they may want to launch it earlier than normal.